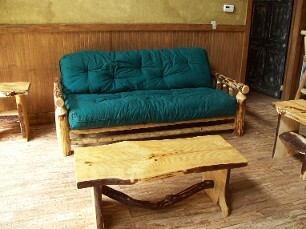 Here at Cabin Creek Log Creations we custom build log style furniture to suit your needs. We use only the highest quality materials from right here in the North Georgia Mountains. We build our furniture right here at our store so we are able to offer the best prices on our furniture. Every piece of furniture is authentic and hand made here on site. 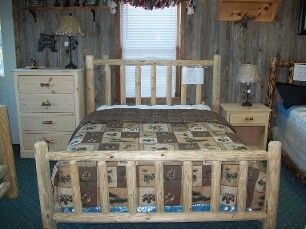 We also offer a variety of cabin/country style decor for your home. Whether you actually live in a cabin or decorate like you do, we can help you get the look you are going for. We service Georgia, Tennessee, North Carolina, South Carolina, Florida, Alabama, and Beyond. Please stop by and visit our showroom. 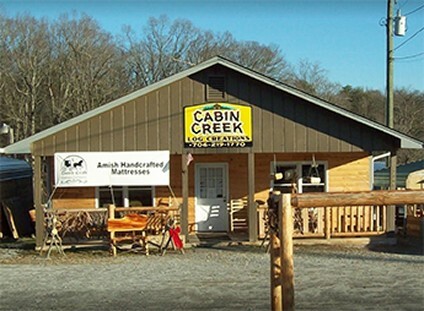 Northeast Georgia Mountains to create one of a kind log, cabin, rustic, or lodge furniture, you won't find anywhere else. 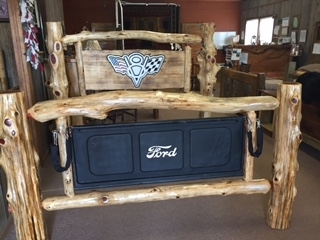 We custom build all of our beds right here at our store. 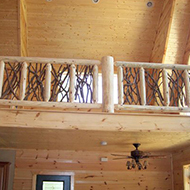 We build custom log handrails and porch rails. Just wanted to share with you a quick story and a sincere thankfulness for the kindness and generosity you shared with my family today. My daughter was beaming all the way home from your store. As she was sharing her excitement for the furniture, she drew a correlation between you and Christ. You are a carpenter just as he was. 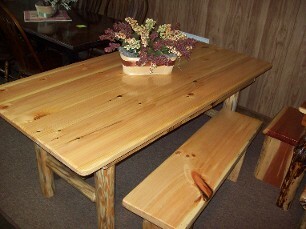 You use your gifts as a woodworker to make things that serve others and earn you a living. She was blown away that you would work with us on a price and that you would actually seek to serve others instead of increasing your gain. We have been looking for this style of furniture at a price we could afford since August. We prayed before we left on our trip today that we would find something, knowing we stood a better chance of finding this style of furniture near the mountains as compared to the city of Atlanta. So, Trey, you were an answer to prayer and used by God today in the lives of my family. And for that I say: "Thank you very much!" I truly hope I did not just offend you with this story, but rather you found it as a source of encouragement for the way we were blessed by you today. I did measure the spaces at home and everything we said should fit well. For the bed: The mattress and box spring are a total of 18" thick. For the bookcase: 40" is a perfect height and anything between 24" and 28" wide will work as well. One question: would it be possible to have two shelves instead of one? That would allow for about 10" between each shelf, including the bottom of the bookcase the two middle shelves and the top of the bookcase. I'm afraid just one shelf would look odd. 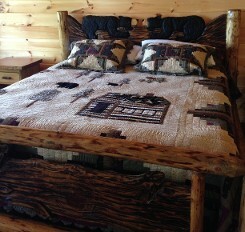 handmade quilt from Helen, Ga.. I’ll never want to leave my bedroom again! Comments: These guys are true craftsmen. There is no need to travel any farther. Their work is absolutely beautiful. After the first piece they made for us, they are furnishing our home one piece at a time. They are wonderful to work with, very kind and professional. They listen to every detail requested and do not disappoint. I?m not one to comment, but this place deserves recognition.